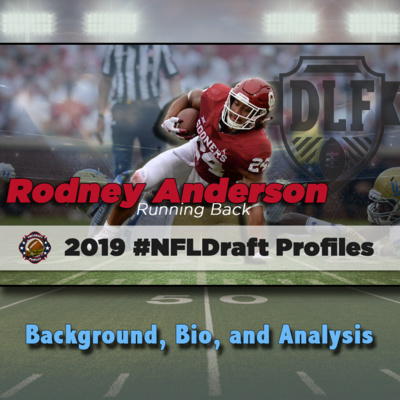 From a pure talent and pound for pound perspective, Rodney Anderson should be the clear top running back of the 2019 NFL Draft class. But health can be a bad dream, and for him it's been a nightmare. How should it affect how you value him? We share our opinion of the former Oklahoma Sooner. I'm back talking some Fantasy Baseball! Quick hitting, to the point, and hopefully helping your roster management. In this episode, took a deeper look at the struggling Josh James and Jesus Aguilar, introduce you to two up and coming Prospects in Zac Gallen and Josh Lowe, plus touched on Cole Tucker, Bryan Reynolds, Brian Dozier, Kris Bryant, Ramon Laureano, Travis Shaw, and Erik Swanson. Hope you enjoy. Please subscribe, rate, review, and follow on twitter @PeoplezPen. Thanks! We've profiled over 50 prospects for the 2019 NFL Draft, and now we've ranked them. Presenting our pre-draft Top 50 Big Board. This is a combination of both of our lists to give you a joint list based off our analysis. Thank you to everyone who has been tuning in. We greatly appreciate it! Especially our hosts at DLF. Don't forget to check back for our post-draft update, and visit our library for all of the players we've covered individually. 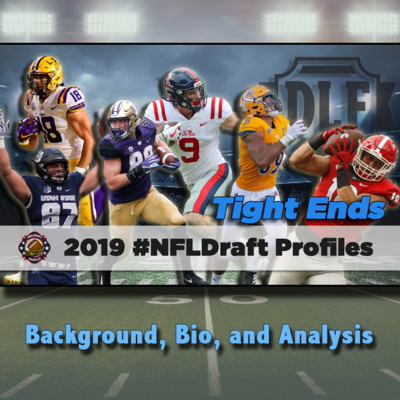 We've gone thru 45 prospects individually for the 2019 NFL Draft, including 5 of the Tight Ends likely to play in the NFL. Now we expand our coverage to include the Best of the Rest. Today we look at some additional TEs, including Dawson Knox, Dax Raymond, Josh Oliver, Drew Sample, Isaac Nauta, Alize Mack, Foster Moreau, and Kahale Warring. We've gone thru 45 prospects individually for the 2019 NFL Draft, including 19 of the Wide Receivers likely to play in the NFL. Now we expand our coverage to include the Best of the Rest. 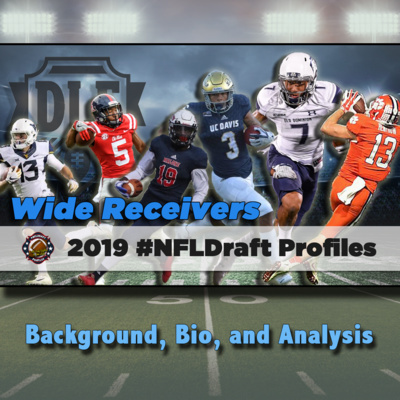 Today we look at some additional WRs, including Hunter Renfrow, Keelan Doss, David Sills, Antoine Wesley, Penny Hart, and Travis Fulgham. Had some technical difficulties, but hope to have made it reasonable. We've gone thru 45 prospects individually for the 2019 NFL Draft, including 16 of the Running Backs likely to play in the NFL. Now we expand our coverage to include the Best of the Rest. 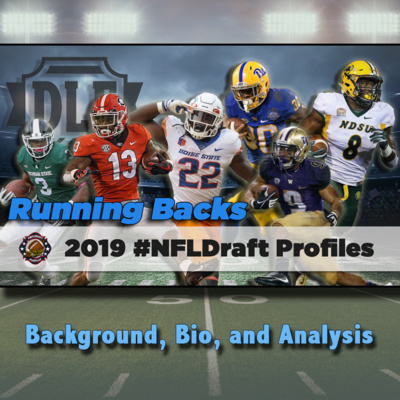 Today we look at some additional RBs, including Alexander Mattison, Myles Gaskin, Darwin Thompson, Travis Homer, and Devine Ozigbo amongst others. We've gone thru 45 prospects individually for the 2019 NFL Draft, including 5 of the Quarterbacks likely to play in the NFL. Now we expand our coverage to include the Best of the Rest. 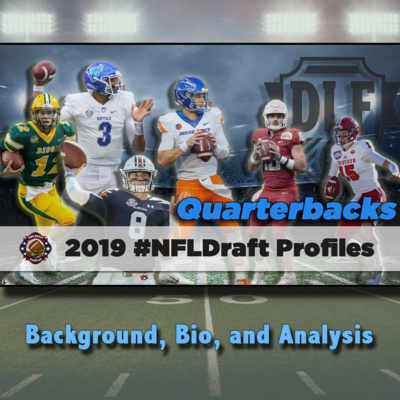 Today we look at some additional QBs, including Brett Rypien of Boise State, Easton Stick of North Dakota State, and Tyree Jackson of Buffalo. Jalen Hurd has been on the college scene for what feels like a long time. First as a dynamic running back for Tennessee, and now as a wide receiver for Baylor. 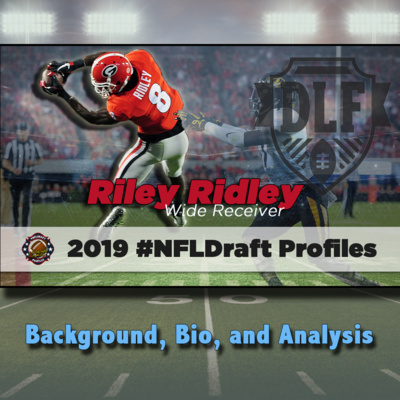 How much has the positional change added to his versatility as increased his 2019 NFL Draft stock as a prospect? 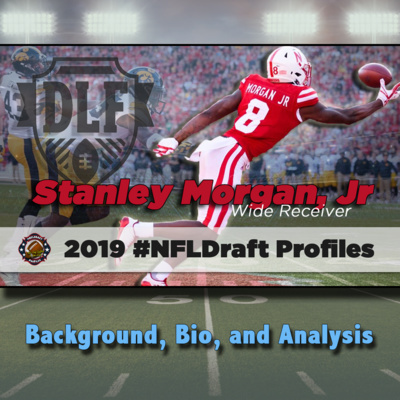 We’re getting into that next tier of Wide Receivers, and Stanley Morgan Jr of Nebraska offers some interest and upside. 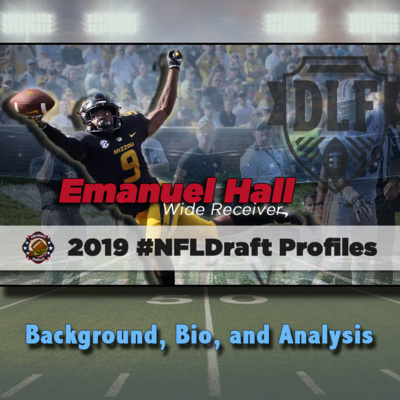 We’ll tell you what you need to know, as we look at him next in our 2019 NFL Draft Profiles series, hosted by Dynasty League Football. 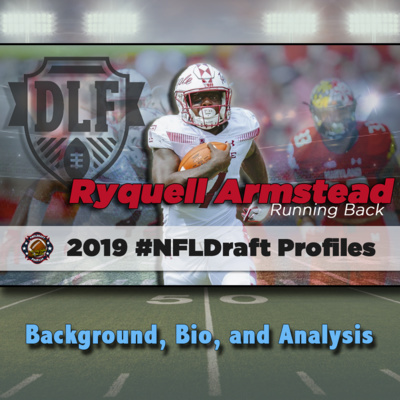 Ryquell Armstead of Temple is a Running Back who is checking off all of the boxes during the 2019 NFL Draft process. But is it enough to convince you he’ll be a contributor at the next level? We go over the Owl next in our Profiles series hosted by DLF. 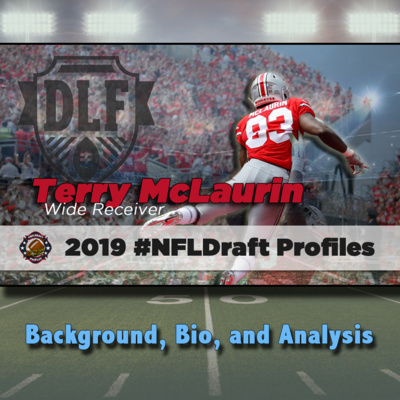 One of my 2019 NFL Draft crushes is Ohio State Wide Receiver Terry McLaurin. 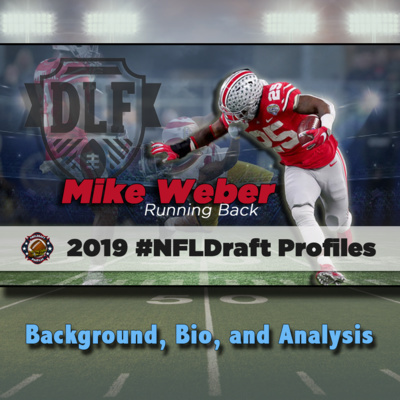 We’ll be getting into his game next, and why you should be on board, as our Profiles series continues, right here on DLF. A feel good story, a productive career, and a phenomenal athlete. All three are true of Notre Dame running back Dexter Williams. The question is, can they all coexist at the same time. 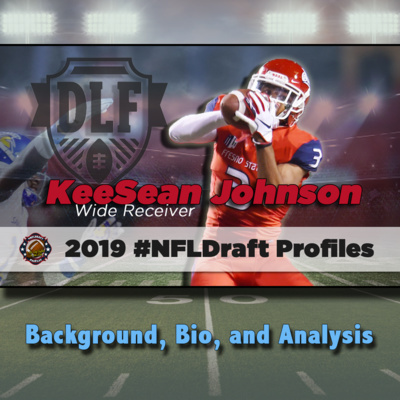 He’s next, in our 2019 NFL Draft Profiles series, hosted by Dynasty League Football dot com. He did things not many college Quarterbacks have ever done. 50 passing touchdowns, coupled with a 70% completion total is giving people a lot of hope that Dwayne Haskins is poised for greatness. While he possesses great size for the position, was the Ohio State signal caller the beneficiary of a taylor made system? 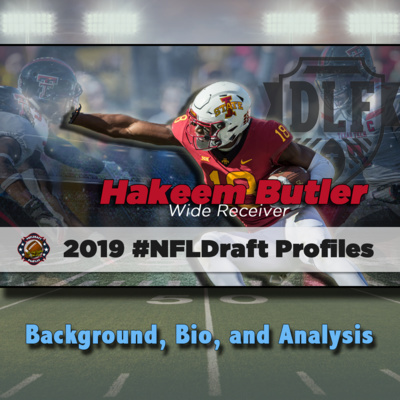 We explored his value and what it figures to be as he goes pro, and through the 2019 NFL Draft process. 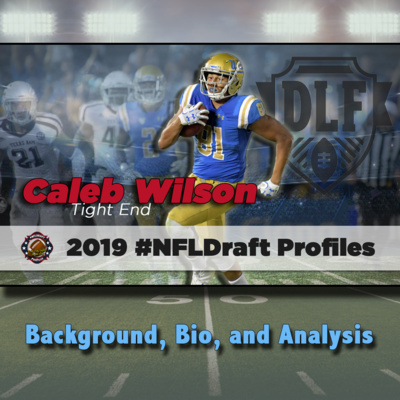 The year of the Tight End continues with Caleb Wilson offering some high end potential as a receiver for his position. Is the UCLA Bruin being overlooked unfairly? 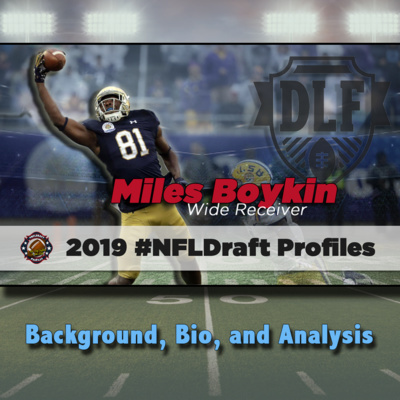 We’ll take a closer look next, on our 2019 NFL Draft Profiles series, hosted by DynastyLeagueFootball.com. 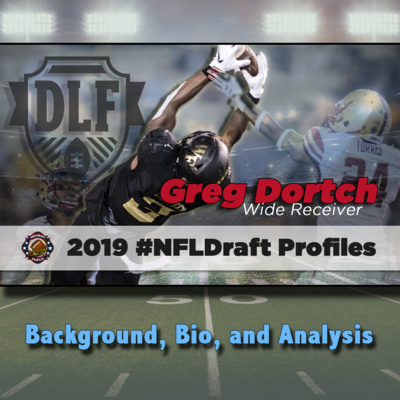 A sleeper that has created some buzz, Wake Forest wide receiver Greg Dortch checks into the 2019 NFL Draft as the smallest at his position. Can he do enough to make that irrelevant? We’ll dive deeper into the Demon Deacon next, as our Profiles series hosted by DLF continues. While everyone chases Kyler Murray and Dwayne Haskins in this year’s NFL Draft, West Virginia’s Will Grier hasn’t missed a beat. 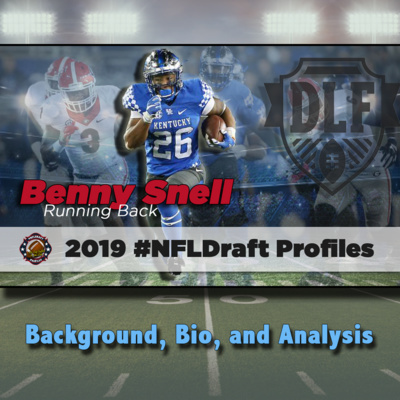 We’ll try to figure out why the former Mountaineer isn’t creating a bigger buzz, next on our 2019 NFL Draft Profiles series hosted by DLF. Usually we think higher of the lead Running Backs from Ohio State. Especially when their production has been solid. But Mike Weber doesn’t seem to be generating a ton of buzz. 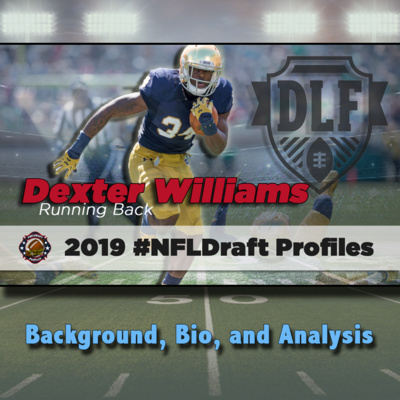 We’ll try to figure out why, next, on our 2019 NFL Draft Profiles series hosted by DynastyLeagueFootball.com. 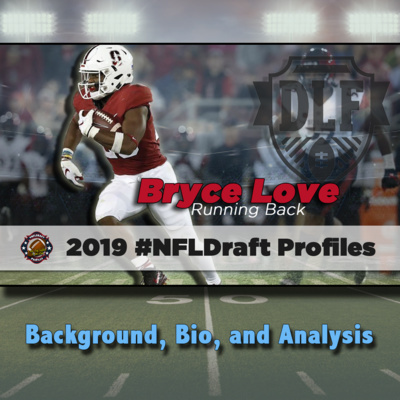 Bryce Love was arguably the top rated running back entering the 2018 NCAA college football season. A regressed season, culminating in a late season injury, has severely dampened his once promising stock in the 2019 NFL Draft. Is this too much overreaction, and should the Stanford prospect be getting more attention? We attempt to determine that in our profiles series. Small school. Great production. Ideal size. Solid testing results. 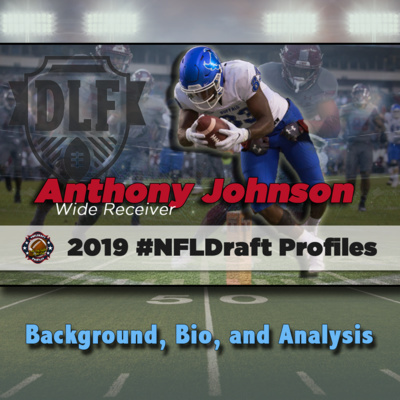 Anthony Johnson of Buffalo is checking all of the boxes leading up to the 2019 NFL Draft. But is the wide receiver a safe bet for success at the next level? Our profiles series digs deeper. This has become the Year of the Tight End, as this class continues to produce some potentially high end prospects for the 2019 NFL Draft. Texas A&M's Jace Sternberger has bet on himself, and right now appears to be winning that bet. What do you need to know about the former Aggie? We give you the breakdown in our 2019 Profiles series. Everyone who is into the sport of football knows the Ridley name by now. Older brother Calvin just began a promising professional career, while the younger Riley shows similar promise. Despite this feeling like the obvious, not everyone is entirely enamored with the former Georgia wide receiver as he goes through the 2019 NFL Draft process. Is this a mistake? 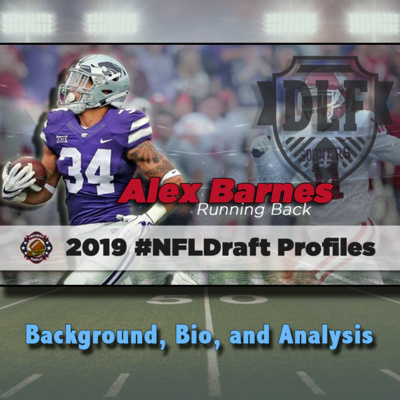 Alex Barnes took the 2019 NFL Combine by storm. In a class that lacks a true number one at the running back position, the Kansas State product testing across the board as one of the most athletic for his position. 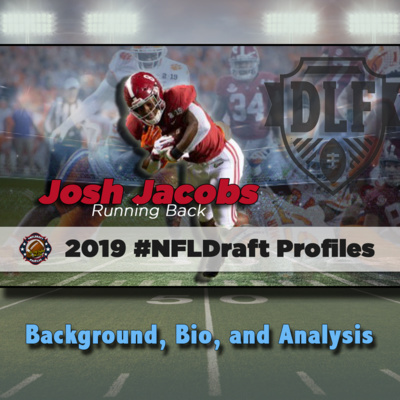 When you add his prototypical size, and pair it with his production, it is easy to see why so many are falling in love with this late riser in the NFL Draft. We have a name now! Hopefully a logo and artwork to match coming soon. 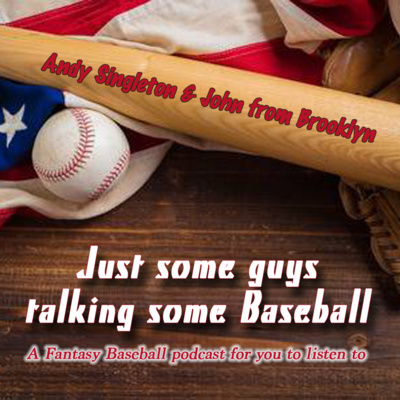 Andy and John return after a week off to get you ready for Opening Day of the 2019 MLB Season. Who are some of the final additions to pitching rotations, and how it should affect your strategy. Some ADP risers and fallers thru the Fantasy Draft season. A lesson in Exit Strategies and why they are important. 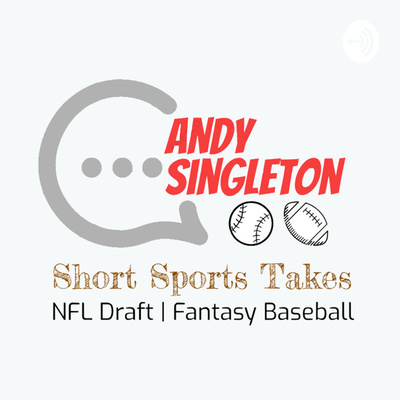 We hope this is a fun and easy conversation for you to listen to, and answer some of your Fantasy Baseball needs. If you enjoy, please leave us a rating and review. Thanks! Another Alabama Running Back! What else is new? It's become a cliche, but typically not a guarantee for success at the next level. 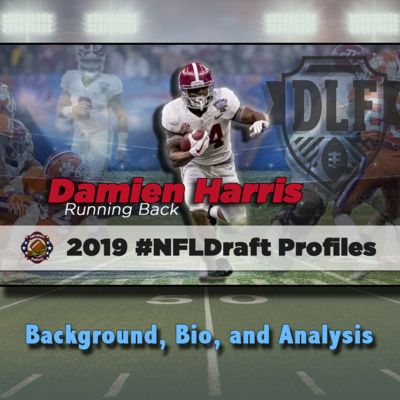 Is it possible that while everyone is focused on Josh Jacobs, his teammate Damien Harris is actually the better and more ready made player? 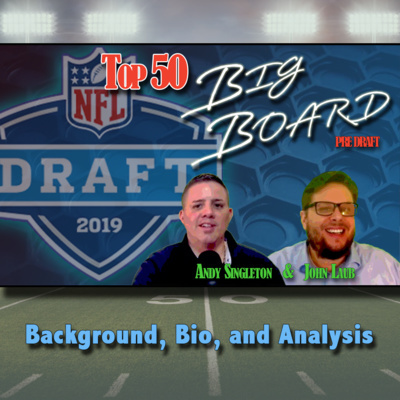 Press play to find out, as we continue analyzing the prospects of the 2019 NFL Draft. 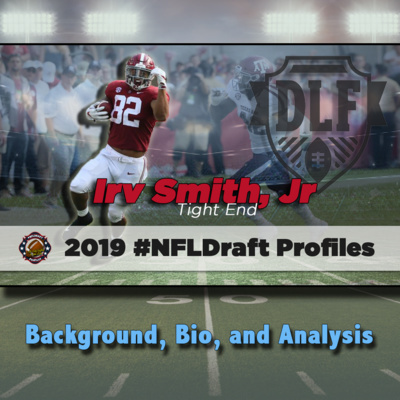 Playing the Tight End position runs in the family for Irv Smith, Jr. Starring at the University of Alabama gets you national attention. The 2019 NFL Draft class is deep at the position, but Smith is in the conversation for the top spot. Should it be his alone, and he prepares to enter the league? He is the most accomplished Wide Receiver in the Fresno State program's history, and KeeSean Johnson is set to follow former Bulldog Davante Adams once more. One of the best route runners in the 2019 NFL Draft class, as well as some of the best hands. How good can he be at the next level? We're giving you our thoughts on the matter in this one. Not every school can boast a highly regarded NFL prospect. Fewer can consistently make that claim. Even less can say so, and at the same position - which happens to usually only feature one person. Iowa, better known as Tight End University, has arguably the two best at the position in the entire nation. 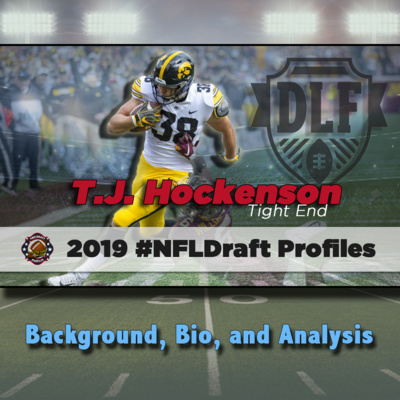 Is Hockenson a better NFL Draft prospect than his teammate Noah Fant? We will try to make that determination. It may have taken a little while for everyone to take notice, but he did have some big shoes to fill. 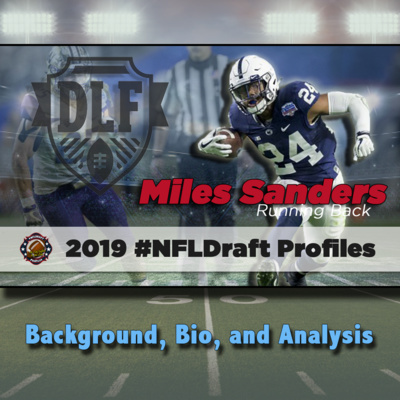 Miles Sanders not only had a terrific season in his collegiate debut as a featured back, but his combine performance has everyone abuzz as well. How high can the Penn State running back shoot up boards in the 2019 NFL Draft? We'll try to answer that as our series continues. Big. Strong. Productive. 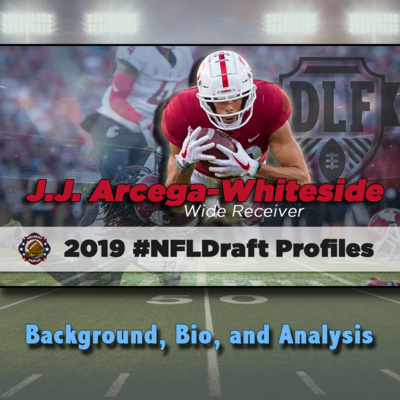 Stanford Wide Receiver J.J. Arcega-Whiteside has put together a very nice college career, opening many eyes and suggesting a smooth transition to the NFL. 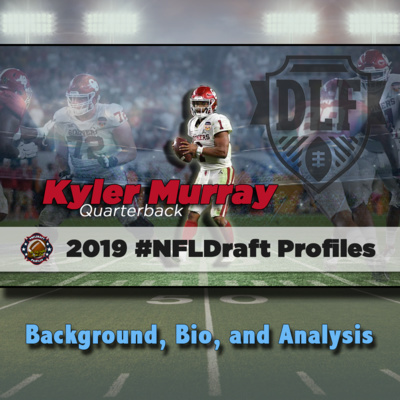 We take a closer look at his profile, as he goes through the 2019 NFL Draft process. 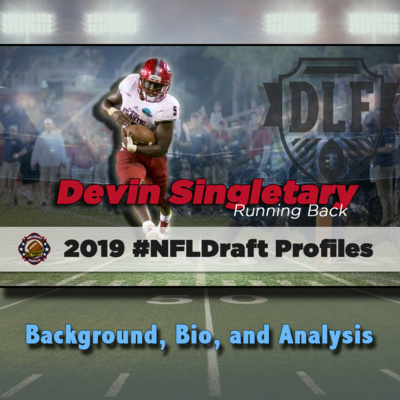 He took everyone's attention at the NFL Combine this year, testing through the roof, and shining at the running back position when others were disappointing. His college production was also sparkling, coming just shy of three straight thousand yard rushing seasons. 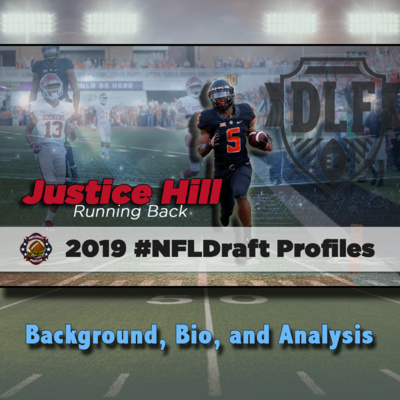 But is Justice Hill automatically a top choice in the 2019 NFL Draft? We weigh in on the former Oklahoma State star. 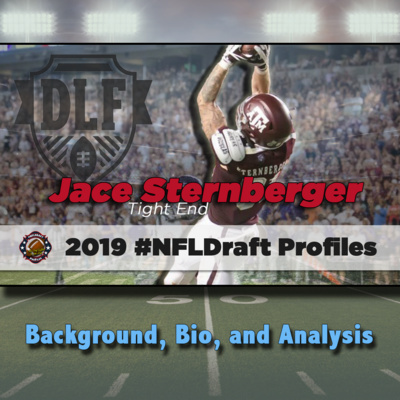 The first Tight End we are featuring in our series, and the consensus number one at his position in the 2019 NFL Draft class. 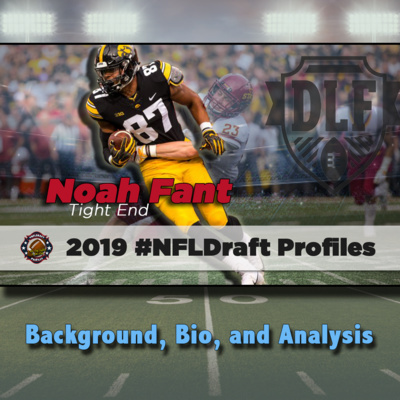 Noah Fant just may be a generational talent, but that doesn't mean there aren't things to be concerned about. We take a deeper look to try to answer any of the questions about the former Iowa star. Are we looking at the best running back in the 2019 NFL Draft class that no one is talking about? 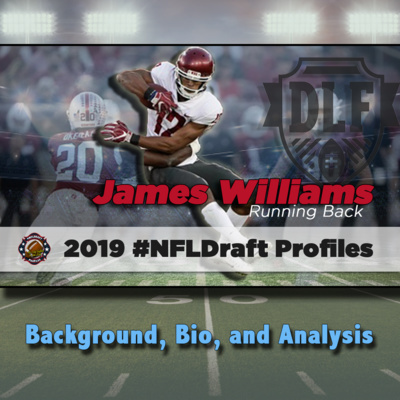 James Williams thrived in a prolific college offense, but is there more to his game than to just dismiss the style of offense Washington State ran? We believe the answer is an emphatic yes, and we're going to give you all of the reasons why you need to know his name! The deeper we get into the 2019 NFL Draft class, more specifically the wide receivers, the more players we see with high end upside. 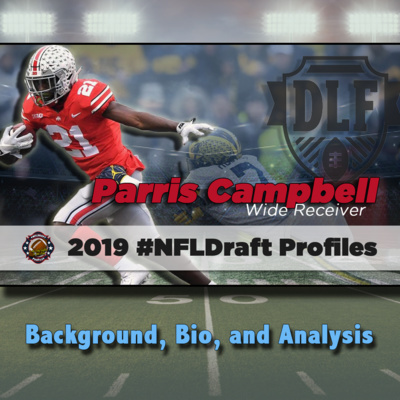 Parris Campbell of Ohio State just turned in an incredible Combine performance which forced us to do a double take on his college production. When you start to put it all together, we just may be looking at the potential best WR in this group. Benny Snell basically put the Kentucky Wildcats on his back during his time at Lexington. Supremely productive, he helped bring the football program to national attention. Now, he aims to follow in his family's legacy, as he enters the professional ranks of the NFL. How should you value him in the 2019 NFL Draft? We're here to answer. They call him Hollywood, but he's really not that flashy. He's good, but size will be a major concern. You cannot argue with his on-field production, as it has been dynamic for Oklahoma. 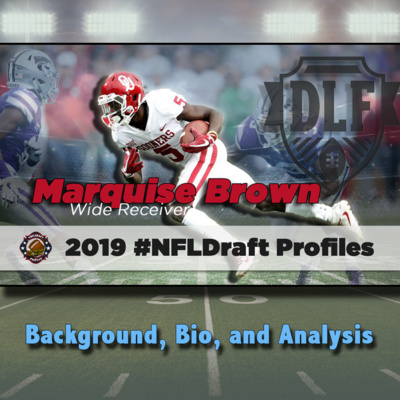 Yes, Marquise Brown is a big cloud of mystery in the 2019 NFL Draft. Hopefully, we'll help you make better sense of how to value him. 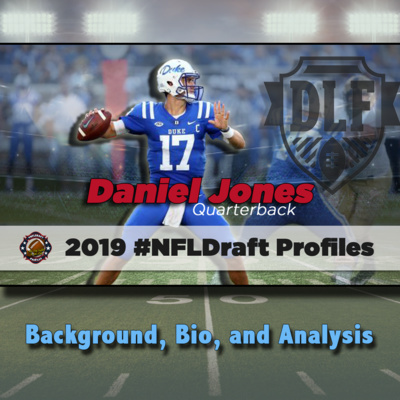 If there is one player in the 2019 NFL Draft who just doesn't seem to make any sense, it would be Daniel Jones. A three year starter for a respected quarterback whisperer. Ideal size for the position. A workhorse kind of attitude. On paper, it all looks great! But the stats on paper, not so much. So what happens now? We'll fill you in. Run a fast 40, show preferred size for your position, and everyone will be scrambling to go back and check your production on the field. Oh, Emanuel Hall has that too! (When he plays, of course). The wide receiver from Mizzou is suddenly shooting up NFL Draft mocks, but is it warranted, or pure overreaction? We dug deeper to determine. Coming off a strong debut, the two guys talking Baseball from Brooklyn are back. We started this series talking about Andy's picks in the 2019 #TGFBI tournament, and today we get into John's. Additionally, we introduce more of John's background and formulas, more specifically what he looks for in building his algorithms. We also talked some breaking news with Luis Severino, John's pitch for Patrick Corbin, and Andy's campaign for Franchy Cordero. Give it a listen, and if you like it, please subscribe! You can find us on twitter @PeoplezPen (Andy) & @MLBMovingAVG (John). 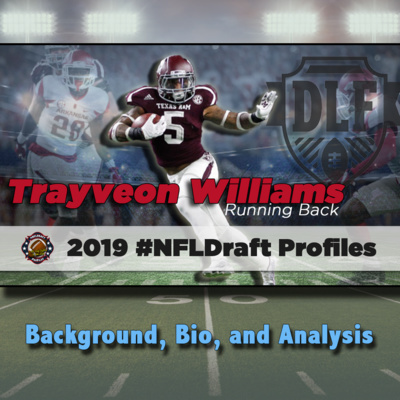 He led the SEC in rushing this past year, and in his time at Texas A&M, Trayveon Williams put up some gaudy statistics. But are those alone enough to elevate his stature in the 2019 NFL Draft? We took an extended look at the former Aggie, as he makes his way to the pros. 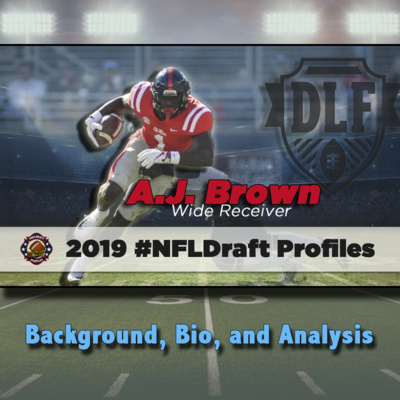 Ole Miss was loaded at wide receiver, and offer a couple of intriguing prospects for the 2019 NFL Draft. In some circles, A.J. Brown is considered to be the best of the bunch. How accurate is this assessment? We took a look under the hood. Our pilot episode! BK*backwards*K. We're two guys from Brooklyn talking Baseball, with a spin for the Fantasy game. Check it out, see if you like it, and let us know what was good - and more importantly - what was bad. 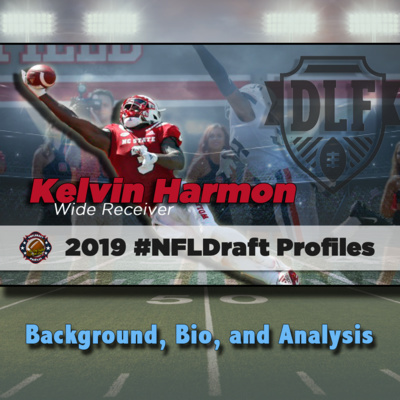 What Kelvin Harmon has been able to accomplish is really quite remarkable. He has shined in an offense featuring some already successful NFL players, in a premium collegiate conference, and in a dominant role. 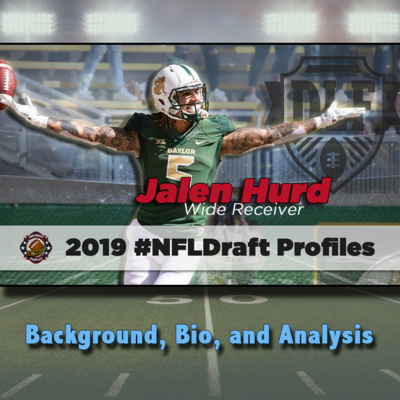 He possesses prototypical Wide Receiver size, more than adequate speed, and is the most advanced route runner of the 2019 NFL Draft class. If he wasn't already high on your list, he will be after watching this video! The size is there. The college production is there. It all looks good on paper. 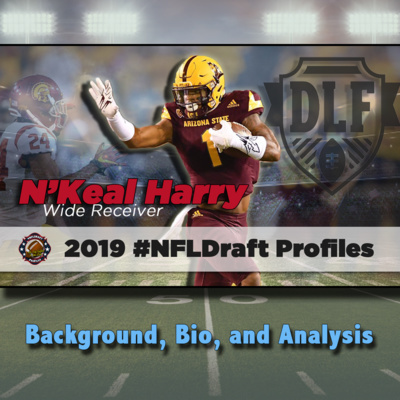 Yet some still have some reservations about Arizona State Wide Receiver N'Keal Harry, and what his 2019 NFL Draft value should be. We have him ranked high, and we're here to give you all of the reasons why you should be buying. Many people have labeled Alabama Running Back Josh Jacobs as the premiere back in this class. There isn't a ton on the resume, but the flashes he has shown has many excited to see him get a full workload at the next level. Is it enough to make him the first RB taken in the 2019 NFL Draft? We took a look at him in depth, as our Video Draft Profile series continues. You cannot teach size. And Hakeem Butler has that in spades. You also cannot teach toughness. The Iowa State Wide Receiver has that too. There is really a ton to love about Butler as he enters the 2019 NFL Draft, but it doesn't seem like everyone is completely on board. Are they paying attention to the wrong aspects of his game? We put him under the microscope to reveal why you may want to give him more consideration in your rankings. As is the case for Running Backs and Wide Receivers, the Quarterbacks this year have many scratching their heads. 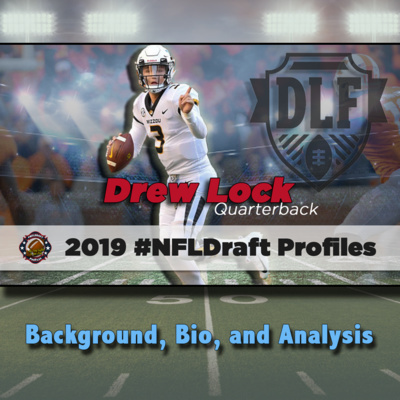 Vertical challenges, and inexperience are opening the door for some others like Drew Lock to sneak in and get drafted in a high position. Can he live up to the hype? We break it down for you with an intro, his background, and our analysis. The consensus WR1, in a murky class of receivers. D.K. 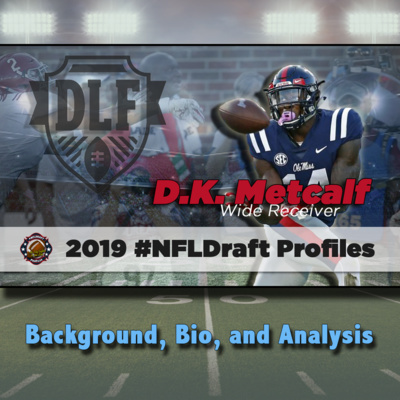 Metcalf of Ole Miss has a lot working against him, but looks like what you would create if you were to fabricate a Wide Receiver. 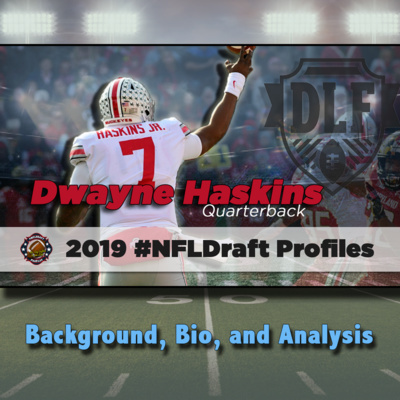 We went over his profile, to share our thoughts on how you should be viewing him in the 2019 NFL Draft. He's my RB1 in the 2019 NFL Draft class. I made that statement officially on February 4th, 2019. Since then, others have jumped into the fray, propelling the Florida Atlantic product as high as their #2 amongst the Running Backs. I suspect more will follow. Keep in mind, this is all pre Combine, and things could change. But the skills are all there, and aren't going to be dramatically impacted by the numbers from Indy. Strap in, and enjoy. Singletary is a savage running the ball! Maybe the most overlooked WR in a class that doesn't have a face. 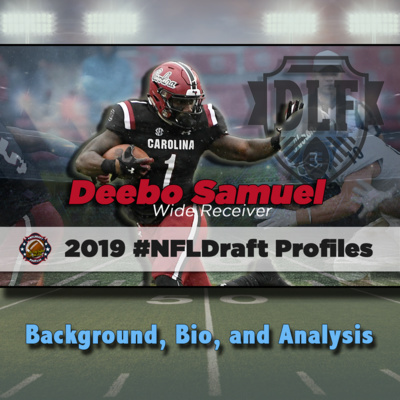 Deebo Samuel is arguably the top talent, poised to be a force at the next level, as he faces the 2019 NFL Draft. 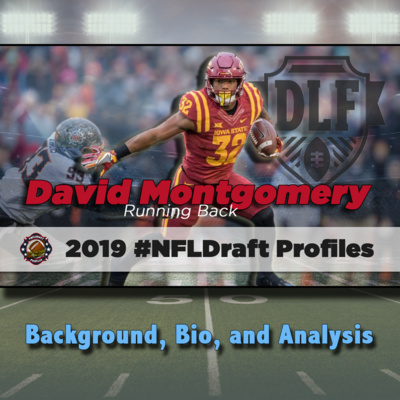 David Montgomery just may be the best Running Back in the 2019 NFL Draft class, but just how good can the Iowa State product be? We breakdown the RB as he prepares to take his game to the next level. 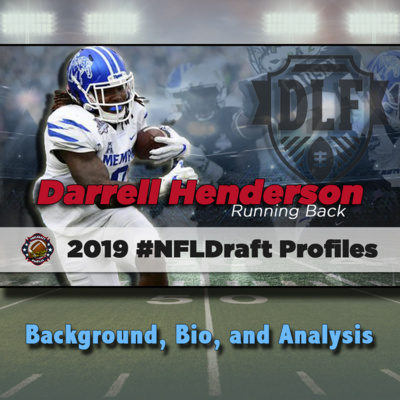 Darrell Henderson has an elite trait. He is by far the most explosive Running Back in this year's NFL Draft class, and maybe even one of the most explosive college backs of all time. But does his game translate to the next level, or does the buck stop here? We take a look at the Memphis product. 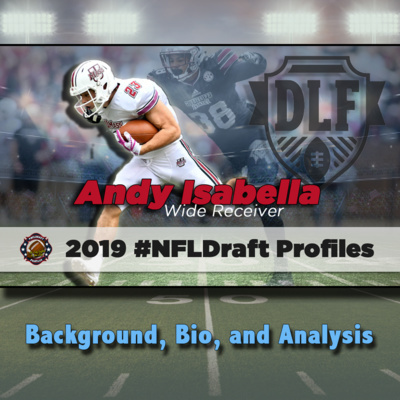 Andy Isabella has been one of the most productive Wide Receivers of the last two FBS college seasons. But he's done it at UMass, and he checks in with questions about his size and it translating to the next level. Is the standout receiver a lock to have NFL success? We covered his background, and provide our analysis. Too short. Too small. Likely the two knocks you constantly hear about Oklahoma's Heisman winning Quarterback Kyler Murray. But is he also too good? 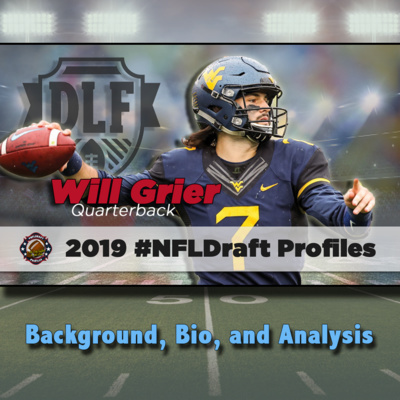 We took an individual look at what the QB does offer, why it was enough to trump playing professional baseball (for now, and why you should be super excited to see him at the next level, as he enters the 2019 NFL Draft.